Holy smokes! You guys are the best. Not only did we meet our $5,000 goal in our Kickstarter campaign, but we went way over, raising more than $6,200! Thanks so much, you angels, you. We promise to make sure our record is worthy of your ears. I’ll be sharing a bill with indie folk legend David Dondero next Thursday, July 21, at the Wormhole in Savannah. Get in your car and drive. And I’ll see you at the show. Okay, gang. 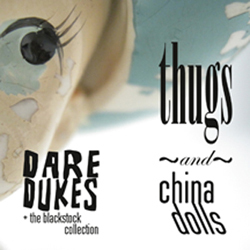 I’ve launched my very first Kickstarter campaign to make sure my new record, Thugs and China Dolls, makes it out of the studio and into your ears. Don’t know what Kickstarter is? Well, Kickstarter.com is a cool website that allows artists and other imaginative people to raise critical funding to make sure their neat ideas make it out into the world. I’m aiming to raise $5,000 (a small portion of my overall budget) by selling pre-ordered copies of Thugs and China Dolls. There’s all kinds of other cool stuff you can buy, too (a pair of Jim White’s loafers, anyone? ), but pre-orders of the record are the main thing. So check out my video, then click through the link and order your copy today! Bits of reality, formed in invisible places, have been known to suddenly appear and fly right by without my taking notice. Sometimes these bits, large and small, will plop right down in my lap and force me to do things that are not on any of the reigning lists. This can be trying, but I do my best to accommodate reality’s demands. 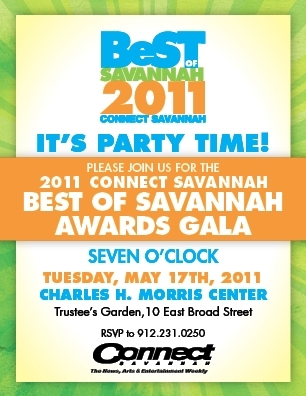 Only two weeks until the Savannah Stopover Festival! Check out the calendar of all the sparkly touring and local bands and buy your passes now. If you pass one of the hard-working festival staff members on the street, shake their hands and give them a hug for bringing so many great indie bands to our weird and wonderful city. Savannah Stopover Promo from Savannah Stopover on Vimeo. We have oh so much to report. First, if you’re in or near Savannah, I’m playing this Friday, February 4, with two great bands. The Red River (from Long Beach and Portland) will be passing through town on their winter tour. I played with them last October, and, if you were there, you saw them make the audience levitate. Truly wonderful. NPR’s All Songs Considered named their recent release Best of 2010. The lovely local Brandon Nelson McCoy will open. Details are below.